The new Libyan “unity” government took a long time to reach the capital of Tripoli, because the Islamist warlords in control of the city would not let them use a plane. They had to sail from Tobruk to Tripoli by boat. They made port at the end of March but did not get much farther than the fortified naval base, where the “Government of National Accord” remains ensconced. “The challenge of arriving was daunting, but thanks to God and the Navy Seals, we managed to carry out this operation and enter Tripoli,” said Deputy Prime Minister Mousa al-Koni, as reported by the BBC. 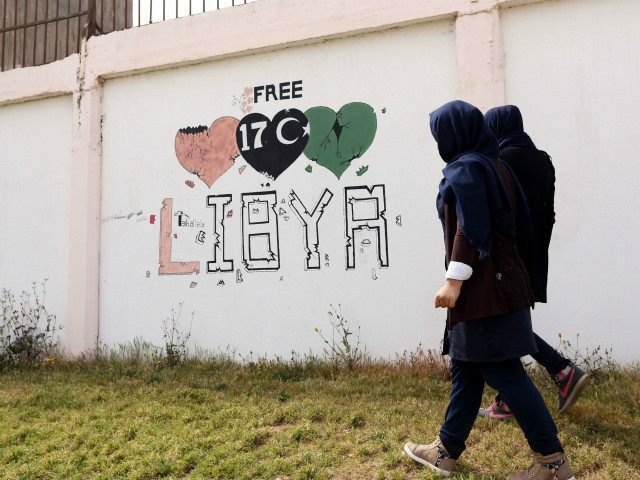 The Government of National Accord is one of four major governments claiming control over parts of Libya. One of the others is the Islamic State. There are also militia groups and gangsters all over the country, looking to protect their little fiefdoms. Koni admitted his new government faced “many challenges starting with taking over ministries and premises occupied by militias and getting the army and police into operation,” but he warned that without central leadership to rally the fight against it, the Islamic State could become all but unstoppable. “They will spread quickly, especially in the south. This area is weak and they could occupy it in minutes. If so, they will control two-thirds of the country. If we don’t act today we can’t do anything tomorrow,” said the Deputy Prime Minister. One Libyan official told the BBC that less than half of militia forces were willing to follow the unity government’s orders. Several Libyan citizens interviewed by the news network acknowledged the unity government as their last chance to pull the country together. A stable unity government has been seen as a requirement for substantial assistance from Western powers, who are wary of dropping arms, or troops, into the chaos of a civil war. “However, officials stopped short of explicitly saying the EU would operate in inland Libyan waters to stop people smugglers, saying it wants to disrupt their business model by building the capacity of the Libyan coastguard,” the Guardian added, noting that both the UK and Germany have resisted the idea of deploying ground forces. The migration crisis unleashed by Barack Obama and Hillary Clinton’s disastrous adventure in Libya continues unabated. In the course of reporting the latest mass drowning in the Mediterranean on Monday, in which up to 500 refugees were killed, the BBC noted that the “numbers of migrants making the dangerous sea route from Libya to Italy have surged this year.” If the Islamic State takes over most of the country, Italy has seen nothing yet.